Without doubt this is one of the stages of greatest beauty on the journey, despite its excessive length that is likely to leave most pilgrims exhausted and with the feeling that the last few kilometres are endless. One option is to end the day in Santa Mariña, 20 kilometres from the start, although the small size of this enclave may discourage more than one walker from doing so. Either way, recommendations are to make a stop in this enclave, with bars, because from here and, for 11 kilometres, there are no other services. A stage to be taken with calm, on which, walkers can enjoy the panoramic views of lush greenery and over the Reservoir of Fervenza. The itinerary departs from the centre of Negreira. However, those walkers who slept in the public albergue, situated on the outskirts of the centre, will already have covered the first stretches on the previous stage. After passing the street of avenida de Santiago walkers should turn left and continue in descent on the road of San Mauro (the original Camino). From here walkers pass the square of Cotón, the DP-5601 and, Negreira, where the public albergue is situated. However, the ancient route (well signposted with a milestone) deviates pilgrims a little before towards the right. Sections of the old original Camino Later, in Cornado there are no services for walkers. In Mo, on the pilgrim route itself, walkers will find a number of rural tourist houses they include Casa Jurjo and the rural hotel of Santa Eulalia. In the surrounding area of the location there is also Casa Pepe, with a bar. A little later the route arrives at a dangerous junction with the AC-400, the road that should be taken to the left, in the direction of Pino do Val/Muros. On continuing hikers reach the albergue of Santa Mariña (with the café-bar Antelo) and the café Victotoriano, with a bar and sandwiches. Those walkers lacking in provisions are strongly recommended to make a stop at this place as for the next 11 kilometres there are no other services. In this location pilgrims will find a bakery and the bar Gallego, from here the route, well signposted, takes a turn off on asphalt to the right. Via Mount Aro The Camino has undergone an alteration due to the ownership of the land and no longer climbs Mount Aro. However, on the right the Reservoir of Fervenza can be seen as well as beautiful views over the valleys of Xallas. 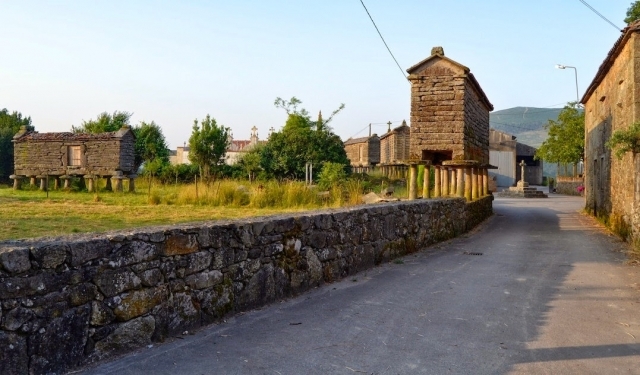 New rural villages, without services for walkers, are passed, such as, Campo Valado, Ponteliñas and Abeleiroas. A number of signposts with names of the locations assist pilgrims to find their way around, something often lacking on other routes. After passing Mollón walkers reach the bridge of Ponte Olveiroa and a little later, after passing this bridge, now thirsty, they arrive at the restaurant and albergue (O Refuxio da Ponte) with a garden and outdoor tables, they serve food and sell supplies throughout the whole day. In front, at the other side of the road, walkers will find picnic tables where they can eat outdoors. To complete this day’s journey, hikers have to continue along the narrow pavement of the DP-3404. The first services for pilgrims can be found on the entrance road. 2 reviews Distance to Santiago: 38 km. 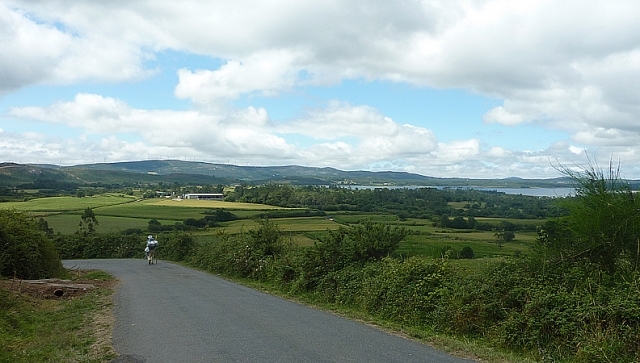 1 reviews Distance to Santiago: 110 km.